Dusan Bogdanovic : And Yet . . .
Dusan Bogdanovic is a composer of masterful craft with a genuine clarity and purity of vision. His music is distinct to the extent that it would be nearly impossible to mistake it for another's, and he happens to play the guitar . . .
Bogdanovic has explored musical languages that are reflected in his style today- a unique synthesis of classical, jazz and ethnic music. As a soloist and in collaboration with other artists, Bogdanovic has toured extensively throughout Europe, Asia and the United States. His performing and recording activities include work with chamber groups of diverse stylistic orientations including The Falla Guitar Trio and jazz collaborations with James Newton, Milcho Leviev, Charlie Haden, Miroslav Tadic, Mark Nauseef, Anthony Cox and others. He has over fifty published compositions ranging from guitar and piano solo works to chamber and orchestral ensembles (Berben, GSP, Doberman-Yppan et al. ), as well as close to twenty recordings ranging from Bach Trio Sonatas to contemporary works (Intuition, GSP, Doberman-Yppan, M.A. Recordings et al.). Among his most recent commissions are a ballet- poeme Crow, premiered by the Pacific Dance Company at the Los Angeles Theater Center; Sevdalinka, written for the Newman- Oltman Guitar Duo with the Turtle Island Quartet, premiered at Merkin Hall, New York; Canticles, composed for the Gruber- Maklar Duo; a mix media piece To Where Does The One Return, for sixteen ceramic gongs in collaboration with sculptor Stephen Freedman, premiered in Hilo, Hawaii; Games, commissioned by the BluePrint Festival and dedicated to David Tanenbaum and Nicole Paiement; Byzantine Theme and Variations, premiered by James Smith with the Armadillo String Quartet, as well as works written for pianist Fabio Luz and numerous solo guitar compositions written for Alvaro Pierri, David Starobin, William Kanengiser, Scott Tennant, Eduardo Isaac, James Smith and others. Bogdanovic was born in Yugoslavia in 1955. He completed his studies of composition and orchestration at the Geneva Conservatory with P. Wissmer and A. Ginastera and in guitar performance with M.L.São Marcos. Early in his career, he received the only First Prize at the Geneva Competition and gave a highly acclaimed debut recital in Carnegie Hall in 1977. 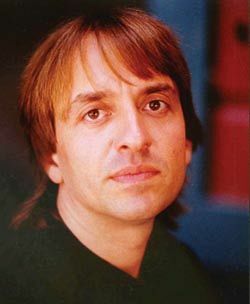 After having taught at the Belgrade Academy and San Francisco Conservatory (1990-2007), he is presently engaged by the Geneva Conservatory. His theoretical work for guitar, at Berben Editions, includes Polyrhythmic and Polymetric Studies, as well as a bilingual publication covering three- voice counterpoint and improvisation in the Renaissance style. His latest book Ex Ovo, a collection of essays for composers and improvisers published by Doberman-Yppan, is soon to be followed by Harmony for Guitar, which is in preparation by the same publisher. 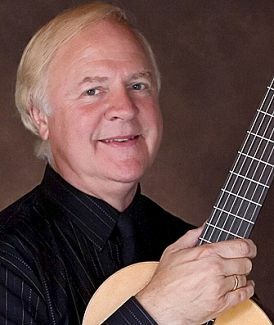 Guitarist James Smith was professor and chair of the classical guitar program at USC Thornton, a program regarded as one of the finest in the world. His students included prize-winners in international competitions, and two ensembles trained at USC Thornton, the Los Angeles Guitar Quartet (LAGQ) and the Falla Trio, have enjoyed successful professional careers. He presented masterclasses at the Manhattan School of Music, Eastman, Yale, and the New England and San Francisco Conservatories, to name a few. Smith was very active as a performer, playing throughout the Americas and Asia. As a dedicated chamber musician he performed with lhe Bel Arls Trio (David Shostac, flute, John Walz, cello), Canto Claro (Sun Young Kim, soprano), Windwood (Douglas Masek, winds), and with guitarist Dusan Bogdanovic and violinist Endre Balogh. Also a skilled arranger, he had several of his works recorded by the LAGQ and other ensembles. Recordings with David Shostac on Excelsior and Douglas Masek on Massax include numerous arrangements by Smith. An ardent supporter of new music, he has given the premieres of works by Bogdanovic, Reich, Johanson, Musgrave, Leisner and Lesemann, to name a few, and his recordings for Orion and Protone records have first recordings of works by Schickele, Crockett and others. Smith's solo playing was featured in the acclaimed movie Sleepy Time Gal (1996), starring Jacqueline Bisset. James Smith served as president of the Guitar Foundation of America, the advisory committee of the First American Guitar Congress and as a board member of ASTA-LA. He judged many international guitar competitions, and organized the Celebration of Pepe Romero at USC Thornton (2004), the First Stotsenberg Guitar Competition, and the Andres Segovia Commemorative (1986), the last two-week long tribute to the Maestro. James Smith succumbed to brain cancer in September 2010.